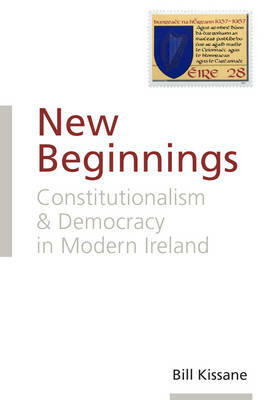 "New Beginnings" covers Irish constitutional development from Home Rule to the Good Friday Agreement, focusing on turning points where radical constitutional change was discussed, attempted, or implemented. It asks what Irish constitution-makers were trying to do in drafting constitutional documents, or significantly amending existing constitutions. It deals with the 1919, 1922, and 1937 constitutions, debates over the 1937 constitution since 1969, and the 1998 Belfast peace agreement. Taking the relationship between constitutionalism and democracy as its key issue, it asks why Irish politicians have seen constitutions as ways of making democracy more manageable, rather than of furthering democracy. It is intended for students of politics and constitutional law, as well as the general reader, and written in an accessible style that assumes no prior knowledge of Irish constitutional history or law.